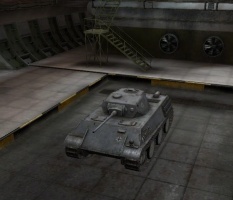 The VK 28.01 is a German tier 6 light tank. Vehículo de reconocimiento desarrollado por la compañía Daimler-Benz. Solo existió en planos. 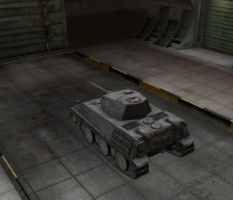 The VK 28.01 leads to the Spähpanzer SP I C.
Can blow tracks off with one shot with 105mm HE shells. Demolish lightly armoured targets easily. 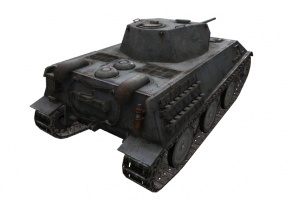 The VK 28.01 has a unique game play and is very rewarding to drive once mastered. The 28.01 is an excellent anti-scout and passive scout and performs surprisingly well as a sniper. 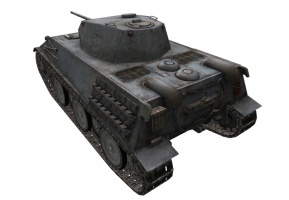 The ability of HE to produce damage at extreme long ranges combines well with its excellent view range, allowing 28.01 drivers to safely combine passive scouting with sniping on many maps. 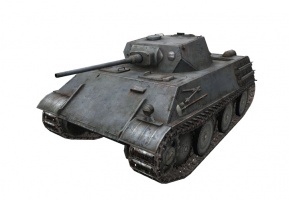 Its ability to kill artillery quickly makes it an outstanding arty hunter in the mid and latter stages of games. Whenever possible, flank enemies to access their weak side and rear armor for full penetrations. Currently, its premium ammo (HEAT) has low penetrative power for the level of its opponents and should be used with care. However, when the situation presents itself, do not be afraid to use it as you can dish very large amounts of damage this way if you can penetrate. 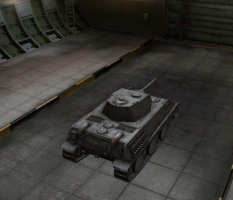 Of note is the fact that the gun depression is better on the sides than on the front. On slopes, drive at an angle and point the gun over the side of the hull. 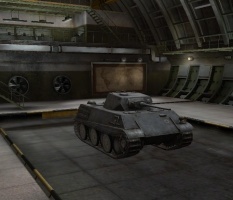 In 1943, Germany planned to stop the production of the Panzerkampfwagen IV no later than the fall of 1944, and since it served as the base for numerous conversions, a replacement was planned. 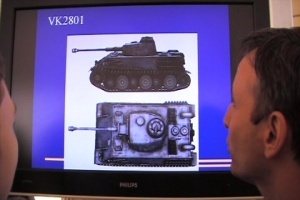 In June 1943, Guderian envisioned a new vehicle - Mehrzweckpanzer (multipurpose tank)- to be used as a reconnaissance tank, artillery observation tank, anti-aircraft tank, light tank destroyer, and light self-propelled carriage as well as other specialized vehicles. 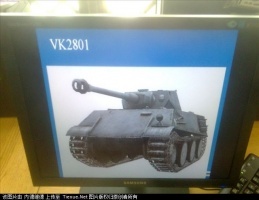 The new vehicle was to be designed by Krupp and was designated the VK 2801. 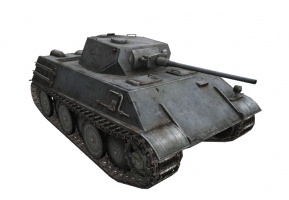 Plans were made to start production of this 28 ton vehicle in April of 1945, but in October of 1943, the entire project was cancelled and production of the Panzerkampfwagen IV continued. 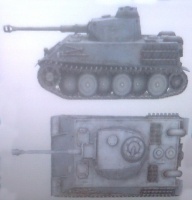 In June of 1943, Krupp proposed the Mehrzweckpanzer mit Vierling 2cm VK 2801 anti-aircraft tank armed with quad 20mm Flak guns, but it also remained only a project and no prototype was ever constructed. Esta página fue modificada por última vez el 25 oct 2016, a las 13:25.